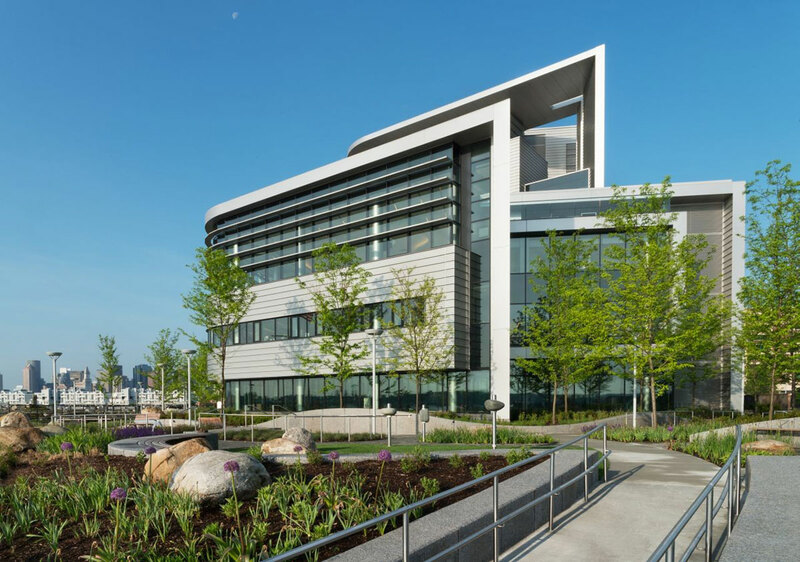 The Spaulding Rehabilitation Hospital by the Boston Harbor boosts a design that is geared towards patient care, providing a healing environment for patients and staff alike. Designed by Perkins+Will in Boston, the building’s usage of sustainable materials has earned it a gold LEED certification. 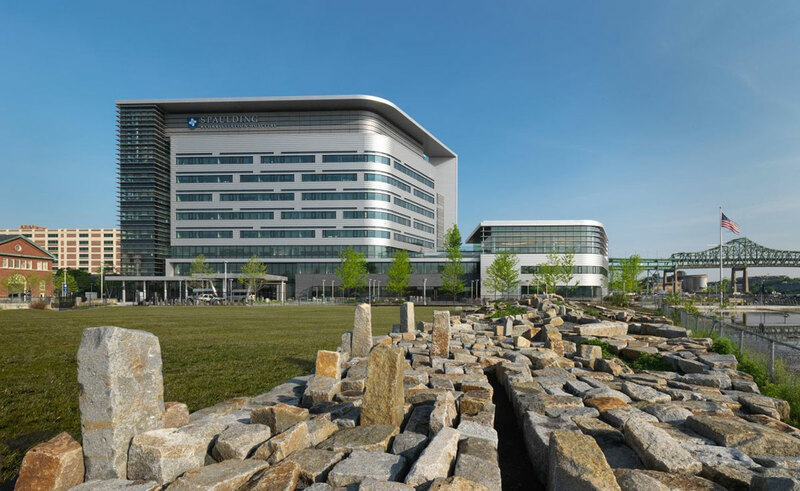 The utilization of low VOC coatings from Tnemec contributed to the hospital’s LEED certification. A high performance coating system, which was comprised of a urethane primer, followed by an aliphatic acrylic polyurethane coating and finished with Tnemec’s Series 1071 Fluoronar, an FEVE-based fluoropolymer in black, was applied to exterior steel surfaces. Coatings that employ Lumiflon FEVE resin technology benefit from not just low VOC properties, but also superior longevity, durability, and color and gloss retention. These coatings are able to withstand exposure to UV radiation, water, salt and other elemental deterrents that contribute to coating degradation for an extended period of time. “The architect uses Tnemec as the standard for high-performance coatings in areas where longevity and durability are needed,” explained Pope. Coatings enriched with Lumiflon FEVE resin remain in pristine condition for decades, eliminating the need for recoating and also reducing the building’s lifespan costs.